In need of a pillow that can both mold to your head and provide support? 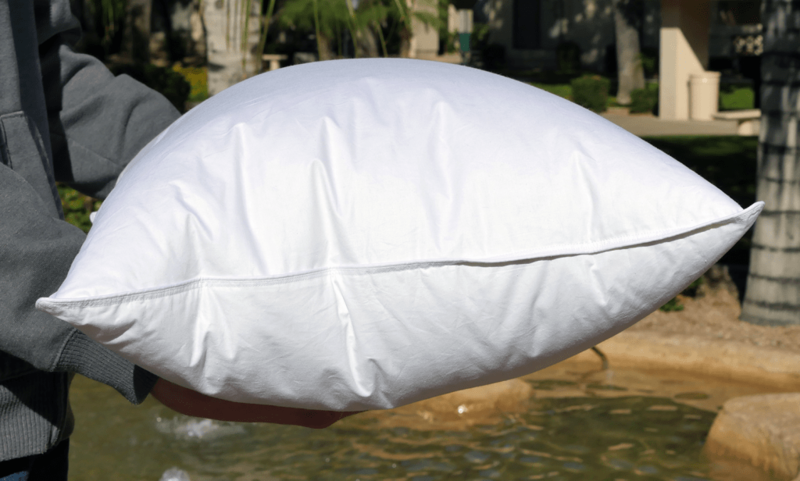 Say hello to the eLuxurySupply goose down pillow! 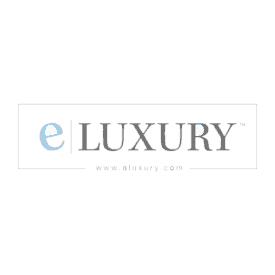 eLuxurySupply prides themselves on creating high quality sleep products at an affordable and fair price. Will their newest pillow creation live up to their mantra? Continue reading below for my full review of the eLuxurySupply goose down pillow. 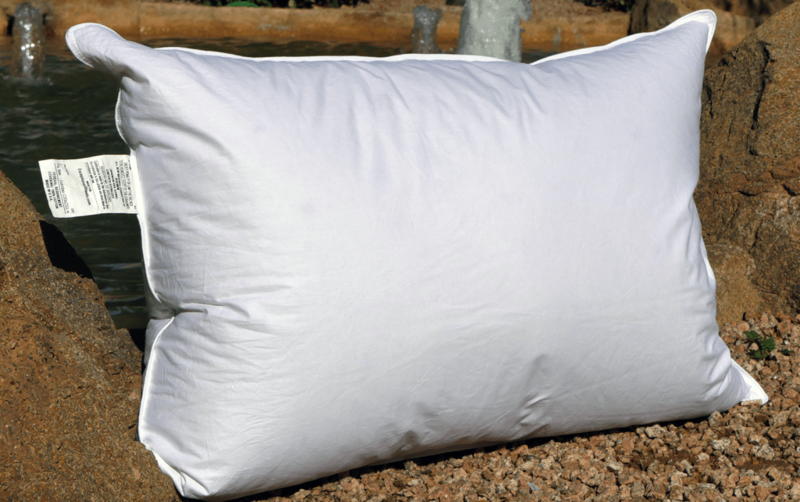 The eLuxurySupply goose down pillow is stuffed with 600 fill power. Fill power is a measure of how “fluffy” a down pillow is. Higher fill power = higher loft / fluffiness. A fill power of 600 gives you a medium to medium high loft, but is still fluffy enough that it can be molded to suit the needs of many sleepers. This pillow is soft and fluffy, yet maintains a good level of support. It totals 2.7 pounds in weight and is offered in 4 different sizes: Standard (20″ x 26″), Jumbo (20″ x 28″), Queen (20″ x 30″), and King (20″ x 36″). This pillow is encased in a 230 thread count, 100% cotton cover. Additionally, the cover is both machine washer / dryer friendly. The goose down pillow’s cover has a snug fit all the way around and seems very well made. Aesthetically, the pillow is pretty basic (all white and no design). A fancy cover was not their primary design objective. eLuxurySupply wanted to create a cover that could take a beating and last a long time. It seems that durability was a higher priority than aesthetics for this particular pillow. This pillow provides a soft feel. There is a high amount of hug offered due to the goose down feathers used. As a stomach and side sleeper, this pillow was great. I enjoyed the huggability the pillow offered. After sleeping on down pillows for most of my life, the eLuxurySupply goose down pillow crushes just about every other down pillow I’ve used. The pillow does a great job of riding a balance of moldability and fluffiness. Even under heavy pressure and molding the pillow still does a great job of providing excellent support. There was always a balanced amount of comfort across the pillow. Not to mention, this pillow is very lightweight (2.7 pounds). If you are a pillow flipper throughout the night, you will have no trouble flipping this one over and receiving the same soft feel you had on the other side. Although the pillow does sink notably when resting on it, there is still a good amount of support. As you move around during a night’s sleep, the pillow reacts to your movements and contours to your new position. Additionally, the eLuxurySupply goose down pillow does a good job of maintaining spine alignment. Some back sleepers might find it’s not as dense as they need. However, for stomach and side sleepers this pillow is a great fit. The pillow’s moldability goes hand-in-hand with the support these types of sleepers need. One side note about the goose down pillow, it does have a slow response time. This is somewhat expected. As a down pillow, the goose feathers take time to respond to pressure. After laying your head on the pillow, it will take a few seconds for the pillow to return to its original shape. Finally, this pillow was excellent with regards to cooling. The feathers inside are very thin which helps to avoid any heat trapping. As I slept on the pillow, I never once felt as if there was any heat build up between my head and the pillow. Virtually no smell – there was zero discernible smell at first contact with this pillow. Machine washable – with a cover made from 100% cotton, you have the ability to fully wash and dry this pillow. There should be no drastic sinkage after a normal wash / dry cycle and your pillow will feel brand new again! Is the eLuxurySupply goose down pillow the right choice for me? Overall, I found this pillow to be exceptionally well made, especially at this price point. High end down pillows can easily run upwards of $300. So to keep a pillow of this quality level within $150 is impressive. Want a soft pillow – made from goose down feathers, the eLuxurySupply pillow has a high level of softness. Your head sinks into the pillow immediately. Want a durable pillow – built with a 100% cotton cover, this pillow was made to handle tough / long use. The option of washing / drying this pillow is a major benefit for a lot of sleepers. 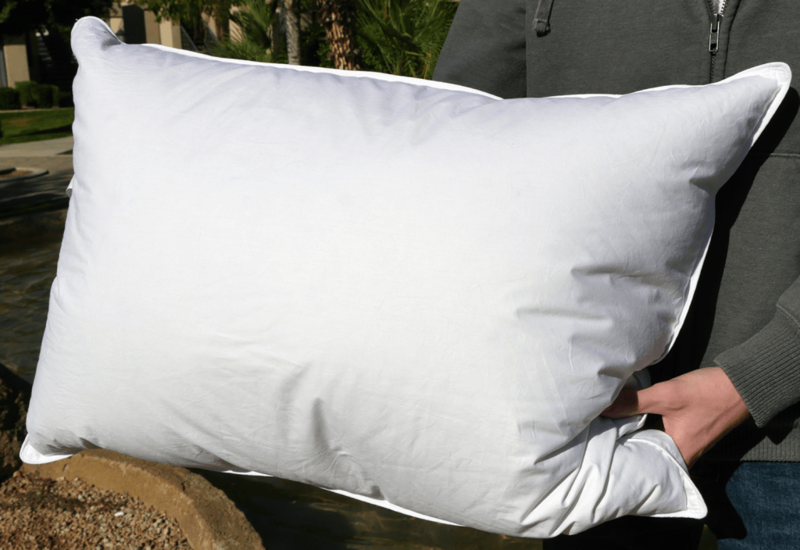 Spot cleaning is no longer necessary with the eLuxurySupply goose down pillow. You are a stomach or side sleeper – as a stomach or side sleeper this pillow will provide excellent support. 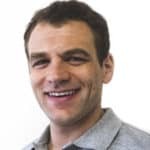 The pillow will mold to your sleeping position and help provide stable spine alignment. Some back sleepers may find that it is simply too moldable. If you are a back sleeper you’ll want to be sure you enjoy a medium loft pillow with a soft feel in order to feel well supported. Need a little more on the eLuxurySupply goose down pillow? Visit eLuxurySupply.com. The eLuxurySupply goose down pillow is impressive. A mixture of soft, supportive, cool, and durable all add up to equal a great night’s sleep. Side and stomach sleeper’s may find this pillow more beneficial than back sleepers due to the large amount of sinkage and hug the pillow provides. All in all, the pillow is an excellent value for the money and extremely well designed and built. Those sleeper’s who prefer down pillows will instantly fall in love with this eLuxurySupply pillow.